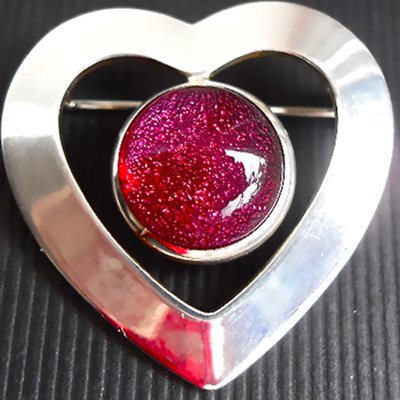 Dramatic looking brooch. 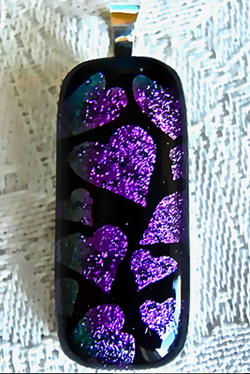 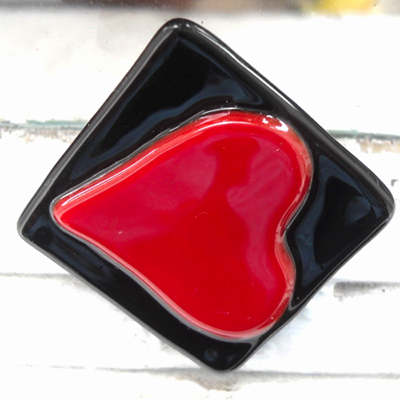 A Black background with a large red heart. 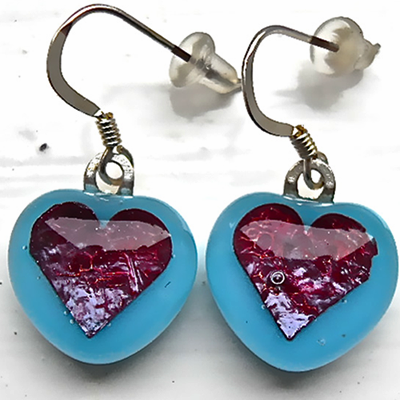 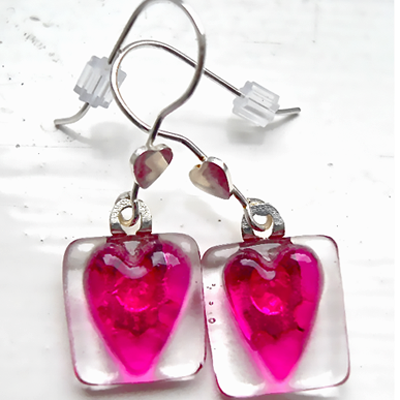 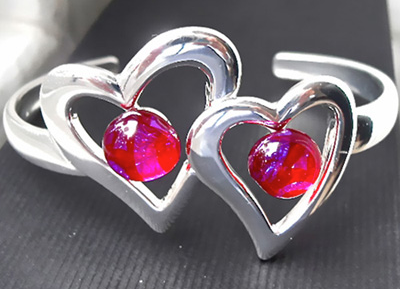 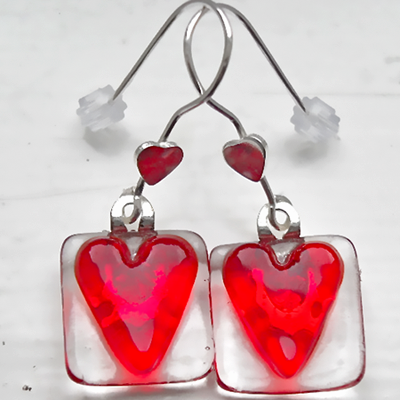 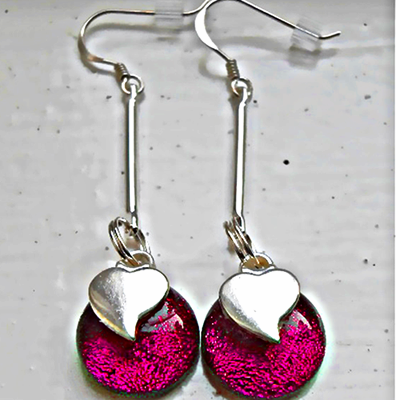 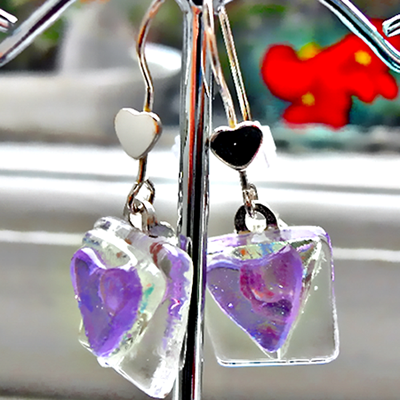 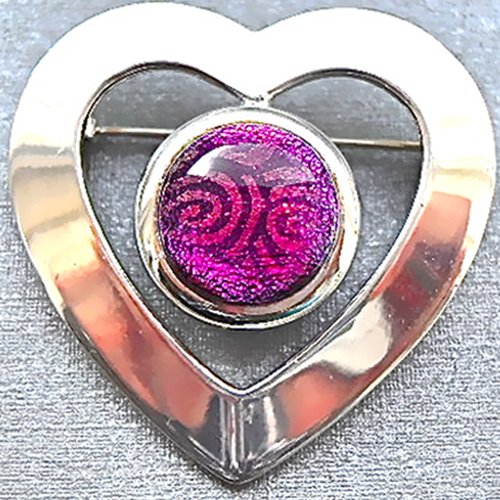 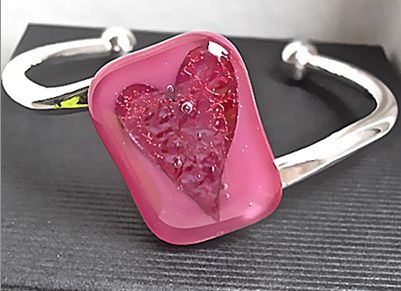 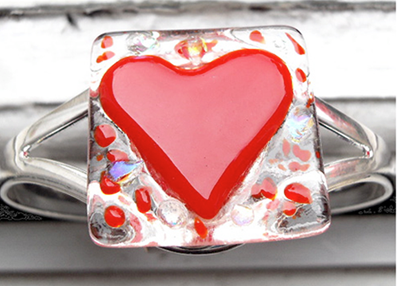 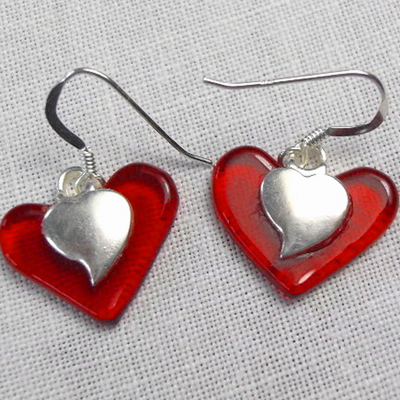 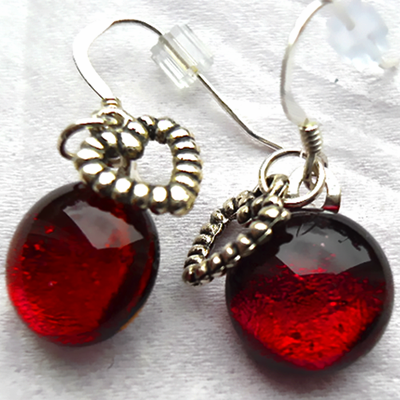 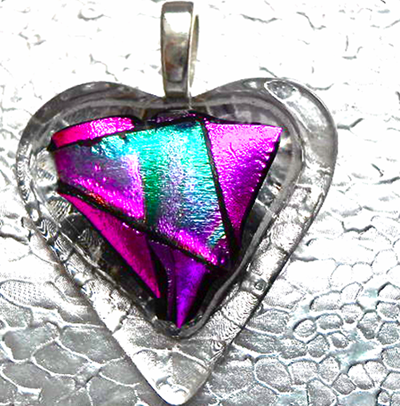 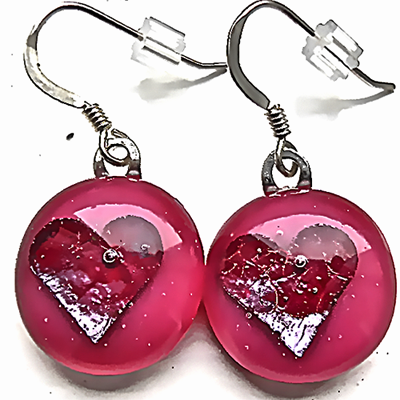 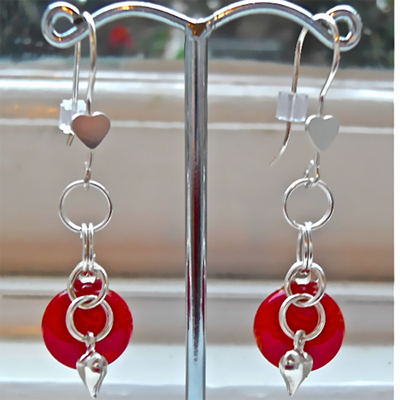 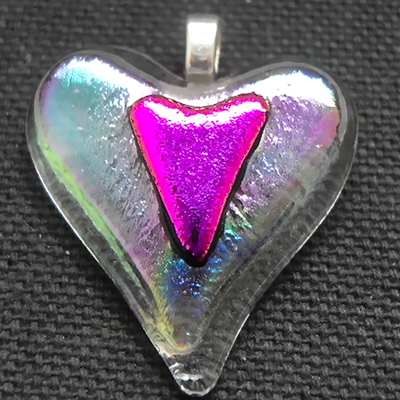 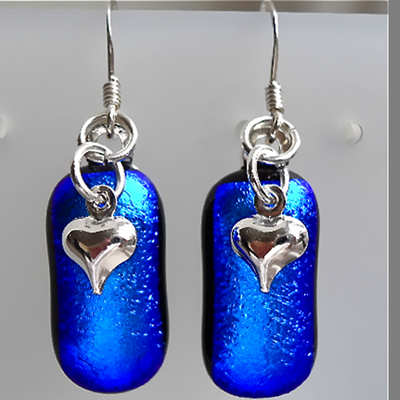 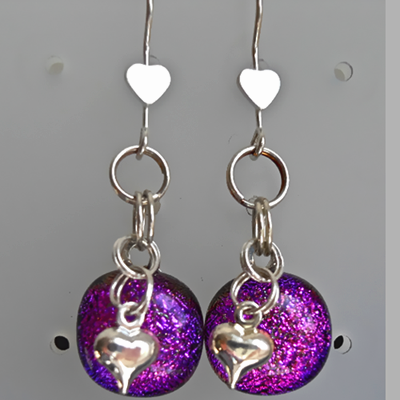 Very pretty Bright Red with a Gold pattern Dichroic glass earrings with silver hearts.